Wardrobe Challenge! – Making Memories in The Chaos. Hi everyone…..have been a bit quiet on here for a number of reasons – the biggest one being, I’m pure beat! Punctured. Wrecked. Anyhow, have reached the end of my wardrobe challenge – the rest of my wardrobe has either got binned / is much too summery / is much too ‘fancy’ for day to day wear. I have 2 large black bin bags of clothes to take to the charity shop. I’m going to work on my shoe collection next! Might sell those on eBay though. 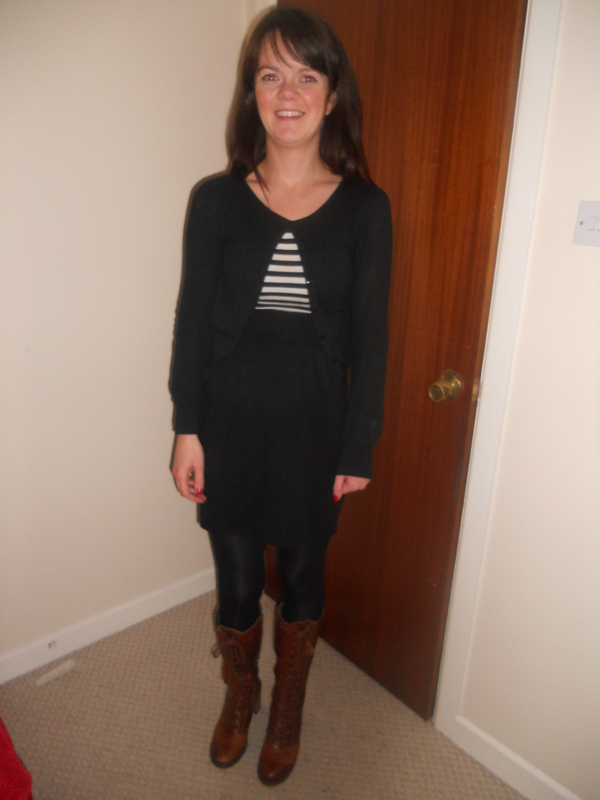 Hanger 1 – this little dress, which I think you have seen on here before! But it was next in the wardrobe, so on it went! This time with a black cardigan. 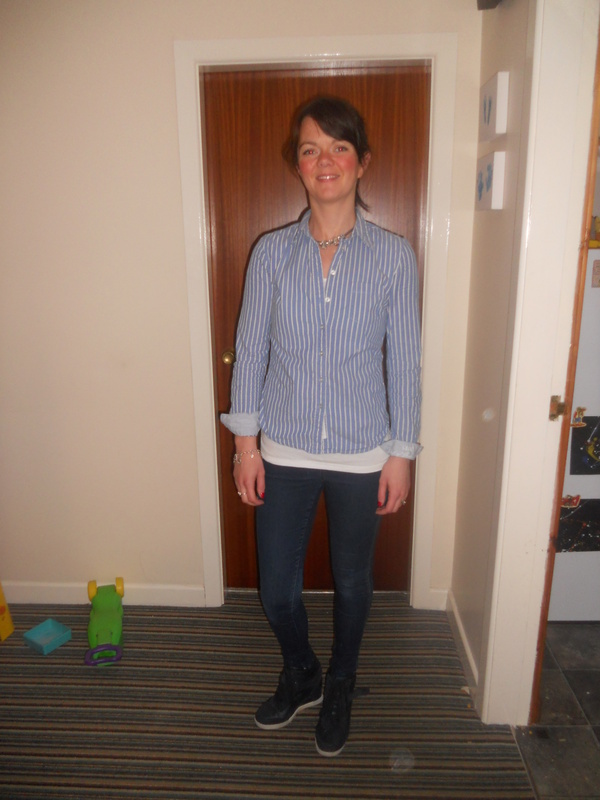 Hanger 2 – this blue and white striped shirt from H&M. 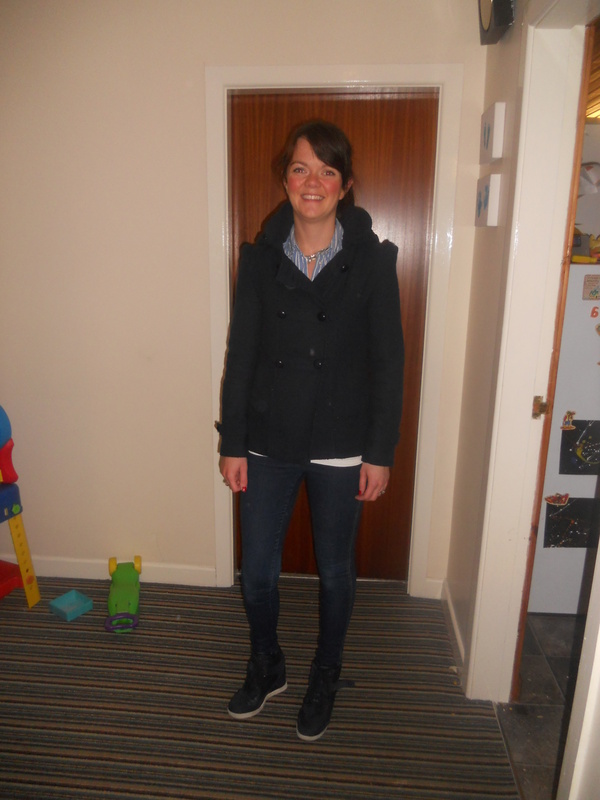 The weather had turned much, much cooler – layers ahoy! Still working on the trainer wedge?! Now…hanger 3 was this blue dress – it is strapless! I LOVE the dress….BUT I did not love this outfit!! 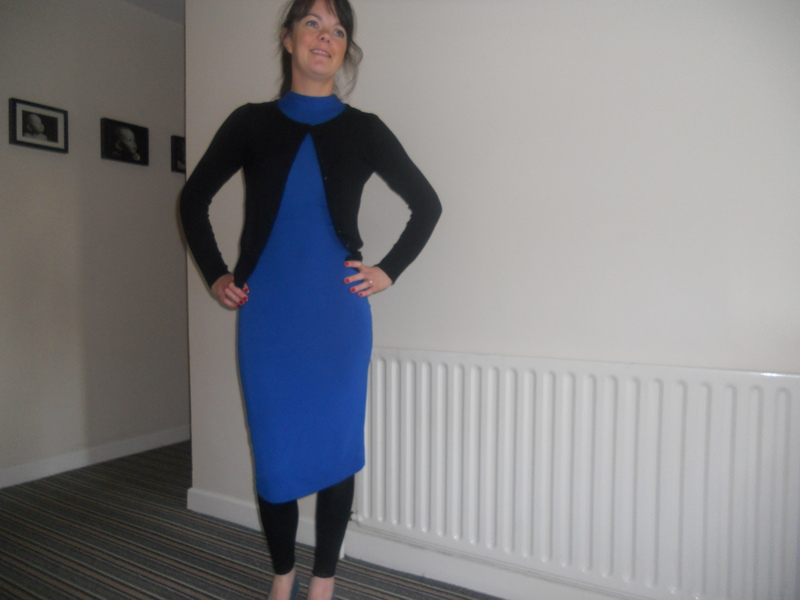 Bit of a fail….added a cardigan and footless tights and flats….in my head I thought it was going to be funky…..in reality – not so much! I did add a scarf which helped a little, but I definitely think this was a fail 😦 Oh well, will just keep the dress for a night out! And now a new jumper – YELLOW!! I really love yellow on other people, but it does not suit me! I got my colours done a few years ago by Colour Me Beautiful and the lady confirmed that I should definitely not wear yellow! 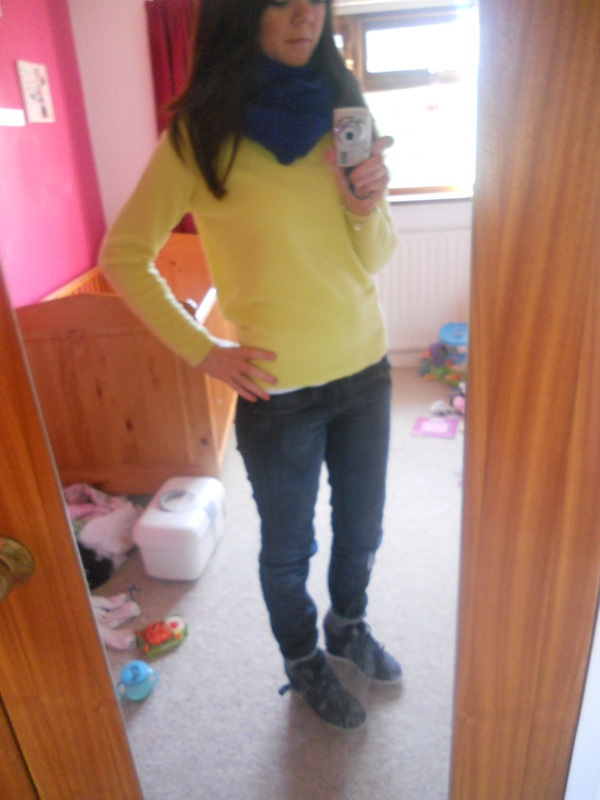 But, I got this gorgeous blue scarf for my birthday and wanted a jumper/top to wear it with. Was in BHS and saw this jumper with 20% off and whoop – I knew it would go with my new scarf!! The blue, (which is on my colour palette, according to Colour Me Beautiful!) is next to my face, which means I can still get away with the yellow!! Win, win!! 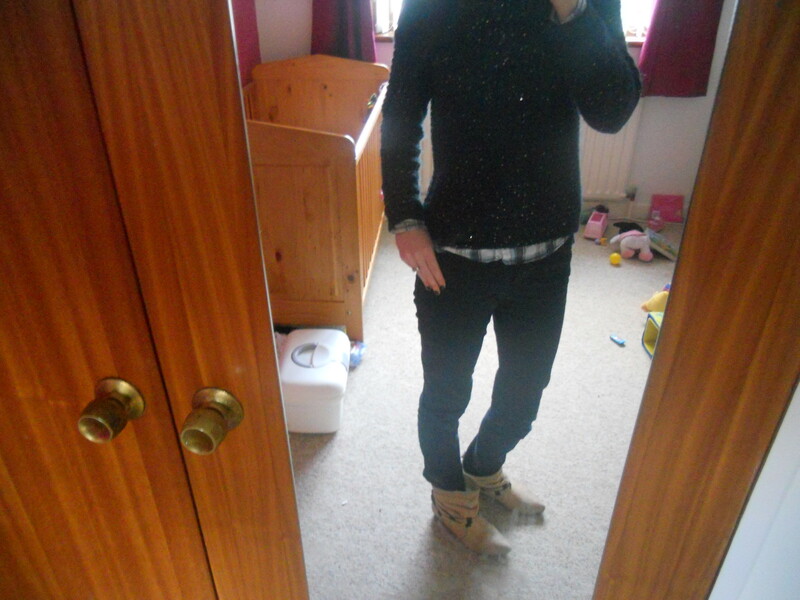 And my other new jumper – navy sequined jumper from New Look – again with 25% off! Give me a high 5 for the bargains!!!! Ankle boots are ‘all the rage’ as yer Granny would say! So got those out with navy straight legs! So there we go, Wardrobe Challenge complete – 7 weeks later. I have to say it was kinda fun and has made me clear out and think about what is actually in my wardrobe!! It also made me be more creative with items that I already owned and get more wear out of some items that just hang there week on week! Does anyone feel inspired to take up the challenge with their wardrobes?? So glad it’s Friday! It has been ‘one of those weeks’!! On a different note altogether, but I feel the need to get it out!! We were invited to the local primary school (the one which J will hopefully go to next September!) to watch their literacy program in action. And, well, I feel a gave the headmaster a total grilling!!!!!!!! And now I feel bad! I had always said I would never be one of those parents, but I am!!!!!!! Feel the need to send him a card and let him know that the morning was in fact very impressive and he seems to be running an excellent school! I fear he may have gone home and lay down in a darkened room! Hope you all have a great weekend – I’m off on a date with wee S tomorrow – can’t wait! 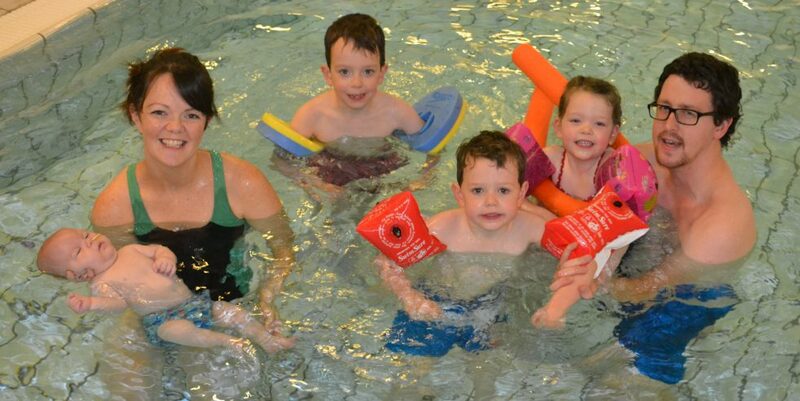 Previous Post My top 10 things to look forward to in the first 12 months of being a mum! The yellow jumper looks great-I like that outfit the best out of all the pics in this post. I really love this project….I was telling my mom about it just the other day. I should just try it since I love the idea so much. Ok, maybe I will 😉 I fear I won’t be as creative as you and will chuck my entire wardrobe. Ha!